Refrigerated air conditioning provides fantastic flexibility for comfort throughout the year. This type of system is well suited for domestic or commercial applications, and it is considered to be the ultimate in AC. However, like every type of complex system, it does still require care and maintenance, so before you dismiss the need for refrigerated air conditioning repairs, Perth property owners should read on. 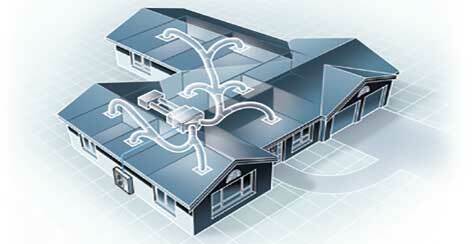 The principle of how ducted refrigerated air conditioning works is quite simple. The system has a compressor unit, which is usually placed outside in a quiet area. The refrigerated air is then pumped from this compressor unit through a series of ducts mounted in the ceiling cavity to cool the various areas of your home. This provides a flexible, quiet and unobtrusive form of climate control. The system can be configured to provide the most efficient form of cooling to the unique characteristics and requirements of your property. What Happens During a Ducted Refrigerated Air Conditioning Service? Like the other types of climate control, it is important that your ducted refrigerated system benefits from regular servicing. The main benefit of a refrigerated air conditioning service, Perth property owners can enjoy is the assurance that their system is operating at peak performance and optimum efficiency. A professional technician will check the equipment for any components showing signs of wear and tear. These components can be replaced before they fail to reduce the risk of a breakdown. The technician will also perform an examination of your duct system to ensure that there are no air leaks. Even a slight leak in your ducts can allow cooled air to escape into unconditioned areas of the home, wasting energy. Additionally, when there are leaks in your ducts, it forces the system to work harder to maintain the desired temperature. When it comes to evaporative air conditioner repairs, Perth property owners assume that this type of equipment will not actually breakdown. However, this attitude could be a very costly mistake. Although evaporative air conditioning does not use freon as a coolant, this doesn’t mean that there are not components that can become damaged and fail. Your system still has fans to pull in fresh air and distribute the cooled air. Should your fan fail, you will need evaporative air conditioning repair. If you notice that your system is making straining or grinding noises, or your home doesn’t seem to feel as cool as you prefer, it is important to have it checked by a professional. If you want to continue to enjoy optimum efficiency, it is important to consider whether your system is in need of refrigerated air conditioning repairs. Perth property owners should be aware that any minor issues that occur will continue to develop. This can lead to a potentially costly breakdown. If your system is making strange or loud noises, it is in need of urgent attention. However, there are other signs that a repair is needed that can be a little more subtle. You may not notice that your energy bills are increasing or that there are warm spots in your home, which make using certain areas of your home unpleasant in summer, but these issues indicate a potential problem. If you are unsure if your system is operating at its best, it is a good idea to consult a professional air conditioning specialist like the Air Cair team. The Air Cair team has experience and expertise in all aspects of refrigerated air conditioning repairs. 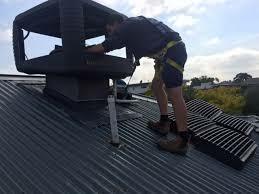 Perth property owners will find that our team can also assist with a ducted refrigerated air conditioning service. We are ready to answer your questions and would be delighted to book your appointment.